Driving cars that make your hair stand on end is what we love at Is it Fast? That is why we have partnered with the Modern Classic Car Club so that you can rent some of the most exciting cars ever made and experience them for yourselves. From three centres across the UK, you can drive cars that leave you wanting more. 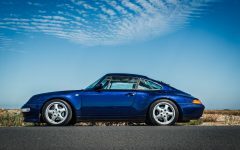 The last of the air-cooled Porsche. Experience one of the rarest pocket rockets. The legend that is, the BMW M3. Experience these and many more cars from our partners at The Modern Classic Car Club. Simply follow the links, pick your car and which date you would like. All cars are hired and managed directly by The Modern Classic Car Club. Pick a car from London, Lancashire or Scotland.